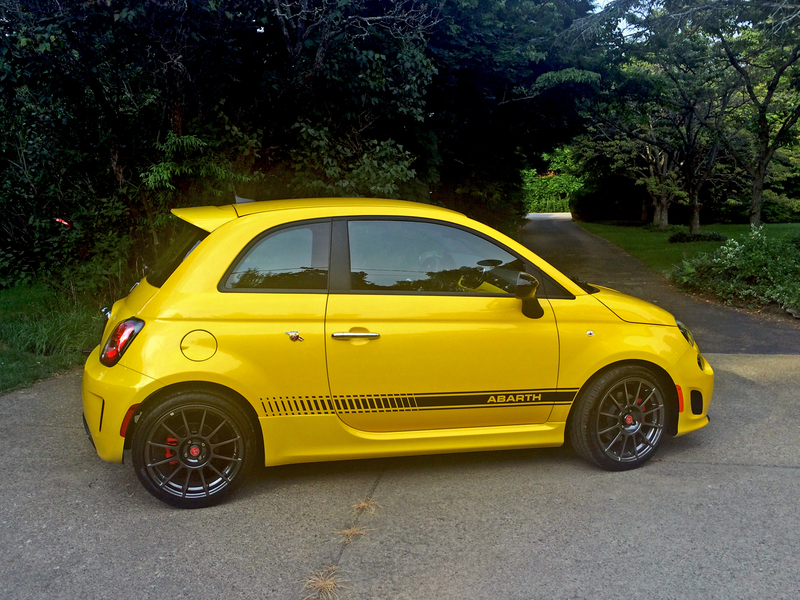 2014 Fiat 500 Turbo – This is my current daily driver, with just over 21,000 miles on it. I bought the car brand-new in 2016 (yep, it’s a ’14 though). My mother was purchasing a 2016 500 Abarth, and I spotted this on the lot and in need of a home. My Civic Si was aging and, while admittedly I hadn’t given Fiat’s too much thought as a new car, I was pretty well sold after driving both this Turbo and the Abarth. It has done well in two Maine winters (with snow tires) and has made multiple very-long road trips. It’s comfortable, economical, and a lot of fun. And even more practical to own day-to-day than one might think for such a tiny car. 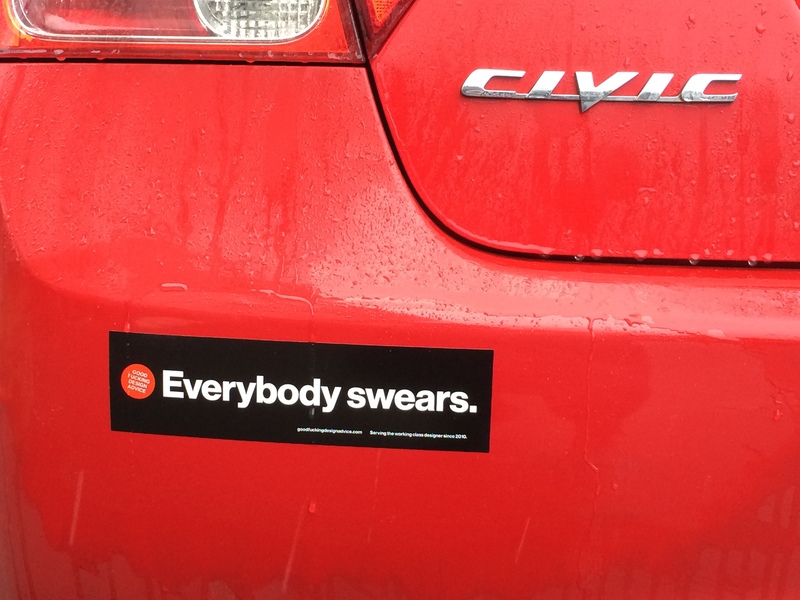 It is, however, a Fiat. So, to date the sum total of issues with the car are as follows: A slightly rattly window mechanism on the driver’s side (haven’t even bothered to put in a warranty claim or anything), and the FIAT badge on the rear is fading. 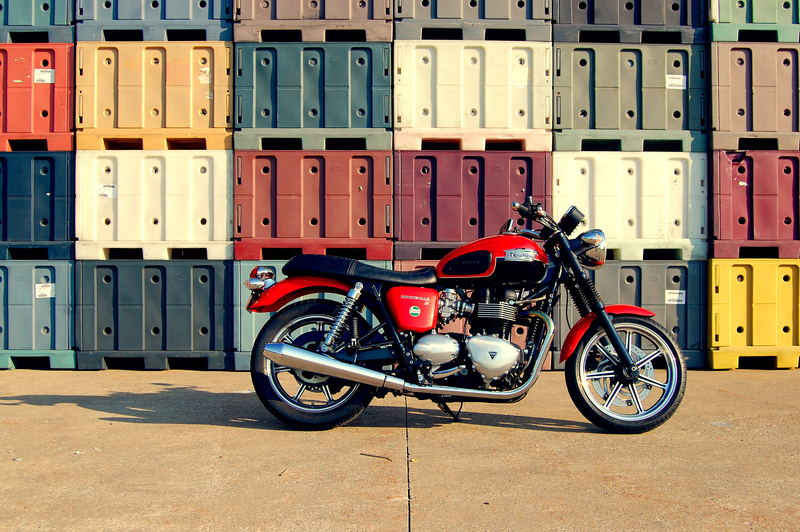 2012 Triumph Bonneville SE – Though I’ve always been a “car guy” I still enjoy anything that propels itself with an engine. 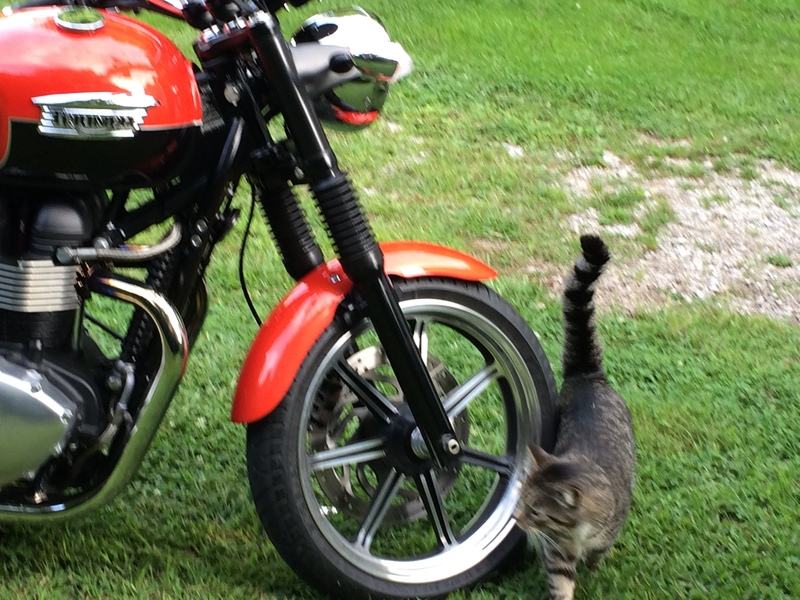 For a time, I was a technician with my local Triumph motorcycle dealership. In the summer of 2013, we participated in Erie, PA’s “Roar on the Shore” motorcycle extravaganza. I rolled this Bonneville out of our showroom to ride back and forth from the shop to the event and back home for the weekend. After just a couple days, I had put the bike’s first 200 miles on the odometer. The “Roar” was over, but I didn’t want to give up the Bonnie, so I bought it for myself. I use the bike as much as possible (weather permitting) and so far (Fall 2017) I’ve put about 14,000 miles on it. I’ve removed some of the baffling from the mufflers, ripped out the emissions control air-injection, modified the airbox for greater flow and installed a K&N, added a Triumph Thruxton bar-end mirror, a more vintage looking Bosch H4 headlight, fork gaiters, dual-sport tires (not shown – handy for those Maine fire roads) and a few other details. 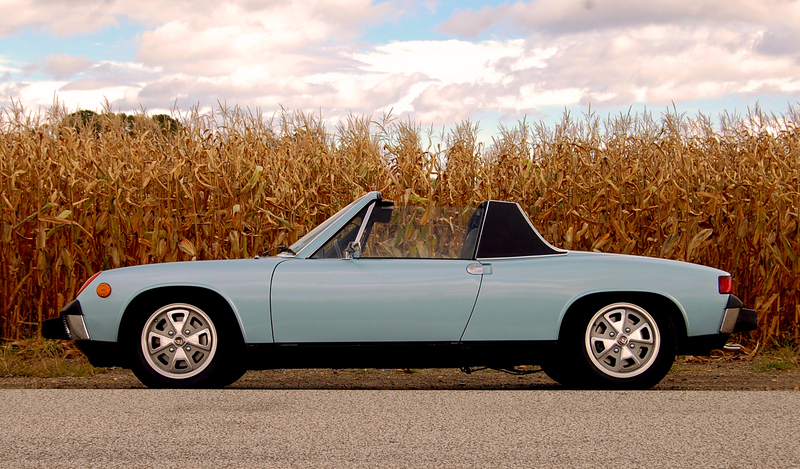 1974 Porsche 914 – In early 2010, my dad and I picked up this Porsche in New Hampshire after hitting “Buy It Now” on E-bay and drove it the 600+ miles back. 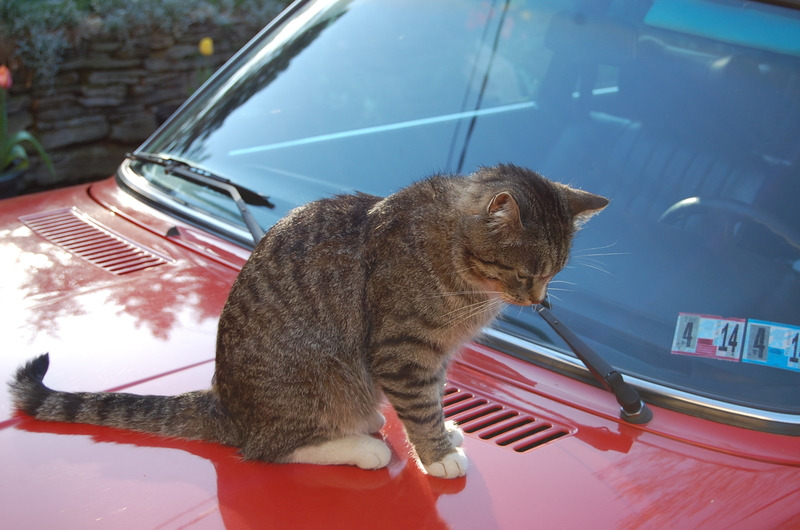 (Technically, it’s his car, but I’ve spent a lot of time with it) It’s about as original as they come and had only 54,000 miles at the time of purchase. Currently It’s nearing 80,000 miles and it’s mostly used on sunny days, and trips to the vintage races in Watkins Glen. A few things about it have changed here and there, such as the chrome bumpers and a set of Mahle wheels (not shown here). We’re slowly working on building up a mildly hot-rodded 2.1 liter engine that will eventually be replacing the stock 1.8. More on that when the time comes though. 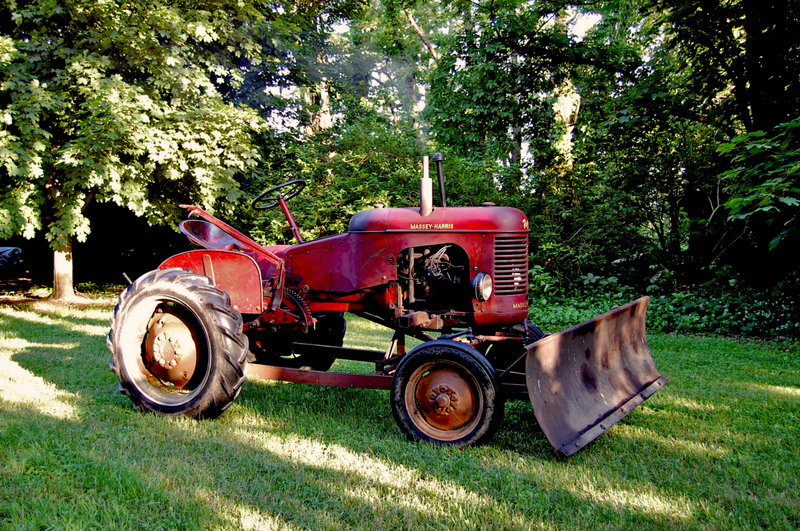 1948 Massey-Harris Pony – This wonderful old workhorse originally belonged to my grandfather. It was used regularly for five decades, but generally well maintained. It fell into disuse for a few years, but I have returned it to full working order. It’s mostly retired these days, but the Pony still gets used to push around the occasional dirt pile or yank up a tree-stump now and then. 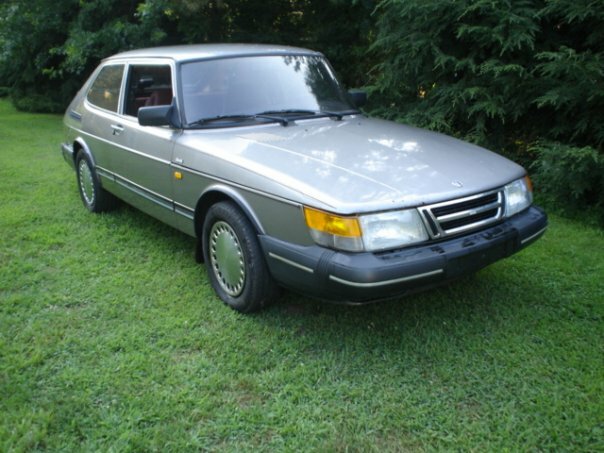 1993 Saab 900 Turbo – I came across this ’93 Turbo in 2004 with only 72,000 on the clock. At that time, it was red and pretty presentable. I drove this car until 2008 when the rust – which came as a result of poor collision repair before I got it and several subsequent nasty winters – worsened and I started driving my VW. 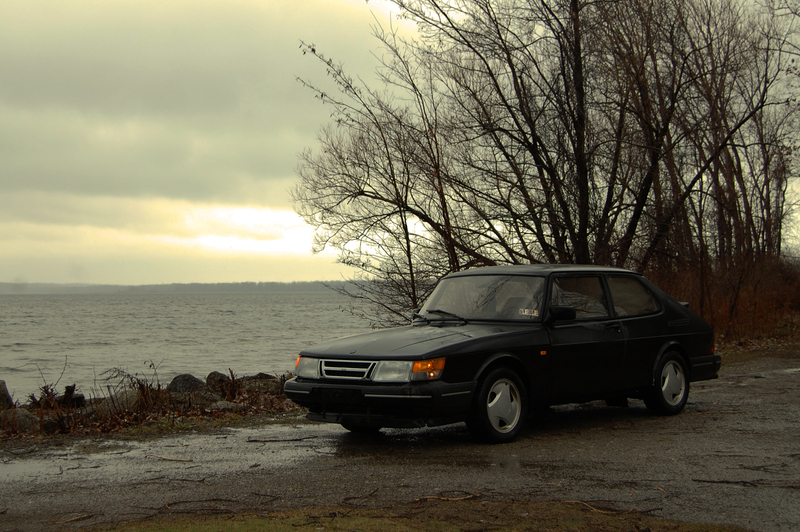 I’ve always enjoyed this car, and frankly, have put it through hell and back. Even after I put over 100k on it myself, the only time it ever really let me down where when it experienced a failed ball joint and a bad water pump. In the fall of 2012, I finally got this car back on the road after it sat in my back yard for several years. While it’s now painted rat-rod flat black (I know, don’t judge) and yes, it generally looks pretty ghastly, it’s served me as basic transportation through the winter after purchasing my BMW. 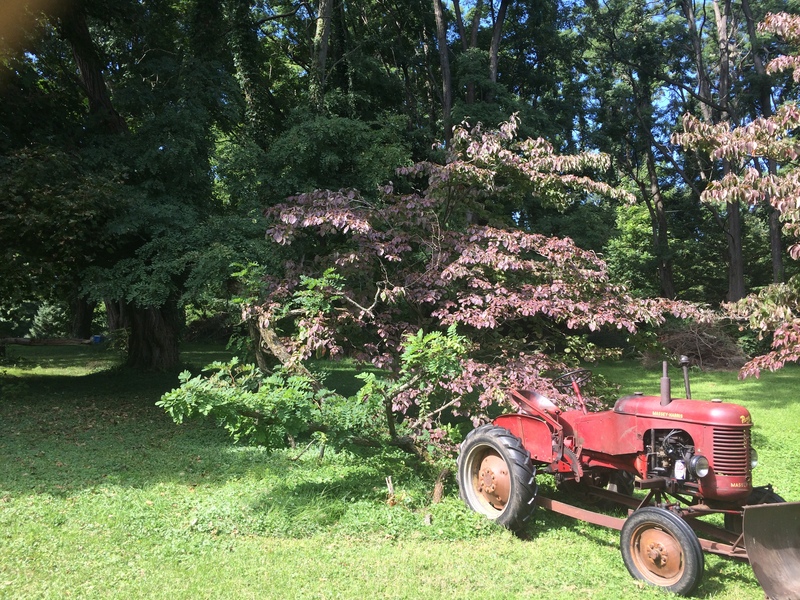 At the time of writing, the old “Slaab” has 189,000 on the odometer but it’s back to it’s old parking spot under a shady tree in a back yard in Pennsylvania. I needs work – too much, really – but I just can’t part with it. 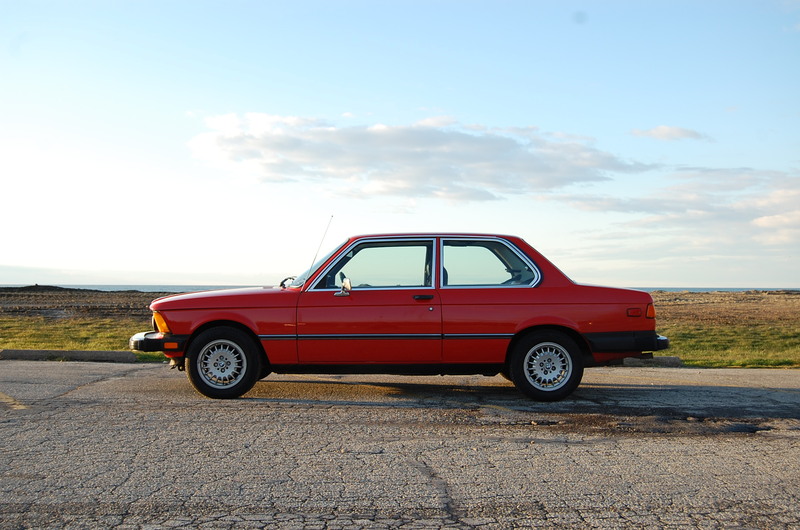 1979 BMW 320i – This was my daily driver for two summers (my Saab 900 T being the winter car). This 320i was found at a local BMW dealership – the same one, in fact, where the car was sold from new (as well as my old VW, for that matter). Interestingly enough, back in the late ’70s it was not uncommon for dealerships near the border to buy new cars in Canada (when the exchange rate was good) and bring them down to the states to be sold. That’s what happened with this car. After it left Erie, PA when still new, the car spent much of the next few decades in California. It eventually returned to Erie again and was traded-in on a Subaru – go figure. Unfortunately, the car’s characteristic tail-happy handling caught up with it (and me) on a wet road. The car was a total loss. This was a truly fantastic car to use day-to-day. Alas, it will be parted out so that other E21 BMWs may live on. 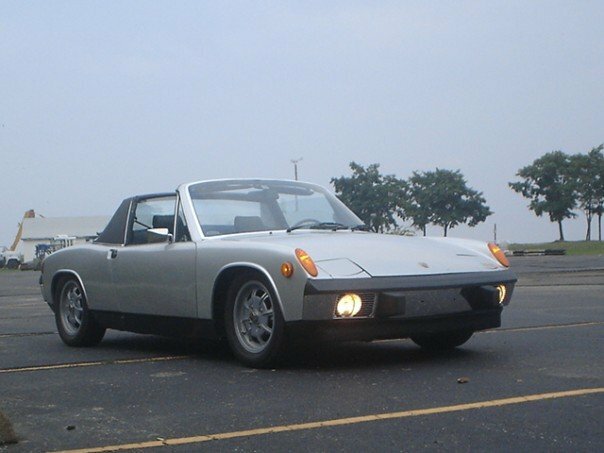 1974 Porsche 914 2.0 – The car that sort-of “started it all” is permanently out of commission following a hit-and-run accident in 2008. 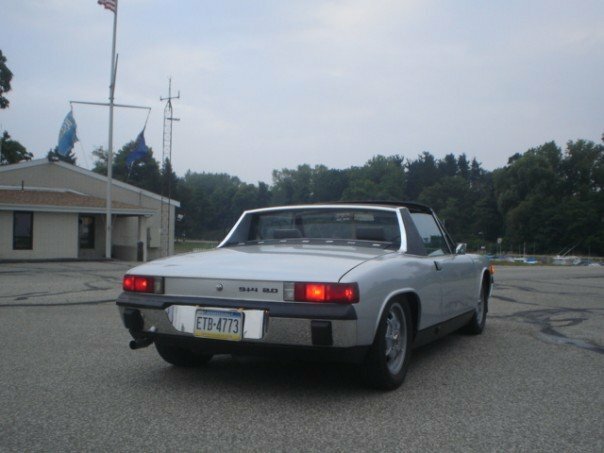 It was built in September of 1973 and originally sold in Erie, PA at the now out-of-business Presque Isle Porsche-Audi in January of 1974. It has remained in the city throughout its life. My father and I put a lot of work into this car and it was nearly fully restored over the course of a decade. Now, as sad as it is, we keep it around to donate parts to the ‘new’ 914. 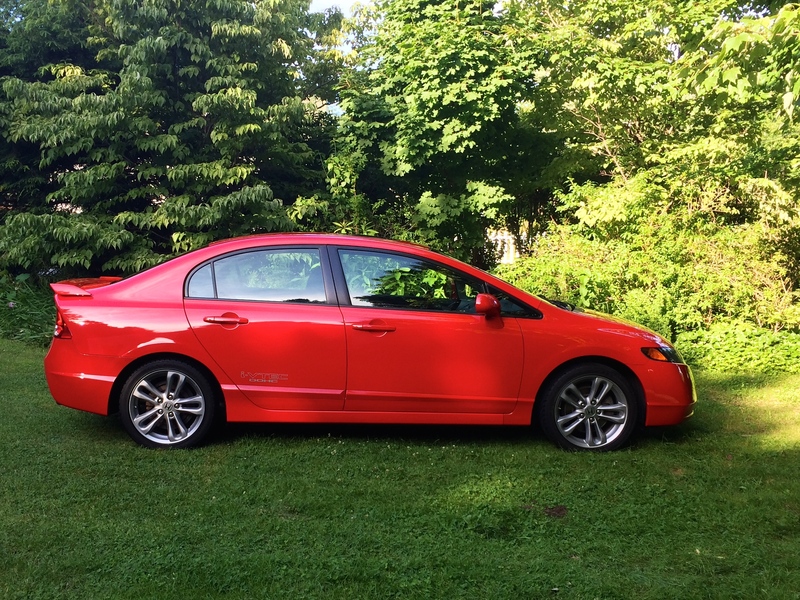 2008 Honda Civic Si – The Honda served as my daily driver for several years, and as one would expect from the Japanese automaker, this Civic was very good for doing that. It was as reliable as the sun, very practical, economical, and quite fun to drive. 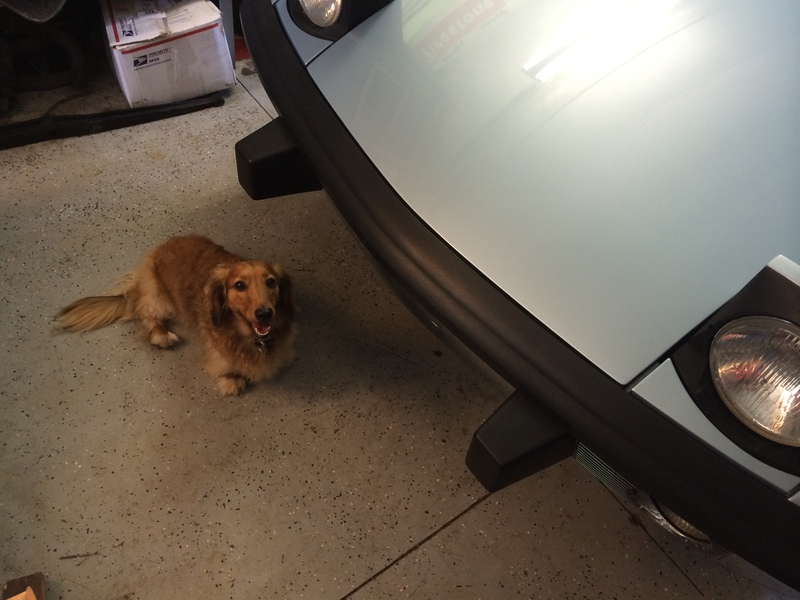 A while back, I wrote about this car and it’s life since it was spanking new. When I traded it on my Fiat 500, it had covered just over 163,000 miles. I think the (original factory) clutch was getting thin and the suspension was getting tired, but otherwise it was in exceptional condition and held up incredibly well. This was a really great car, to be honest. If it weren’t that I got a pretty good deal on its replacement, I’d probably still be driving this and I would recommend one to anybody. 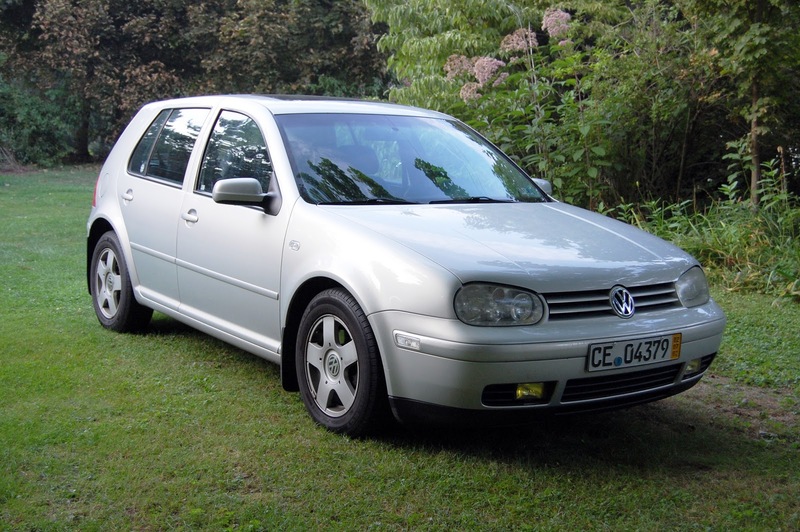 2000 Volkswagen Golf 1.8T – My daily driver through most of college was this ol’ Golf. My dad got this car when it was new back in early 2000 and the miles racked-up ever since. When I sold the car in April of 2012, it had over 215,600 miles, and was still going strong. It’s been a little battle scarred and but it really held up remarkably well, all things considered. Only about 7,000 4-door Golf IVs (not GTIs) got the 1.8t, and it was the most reliable part of the car. 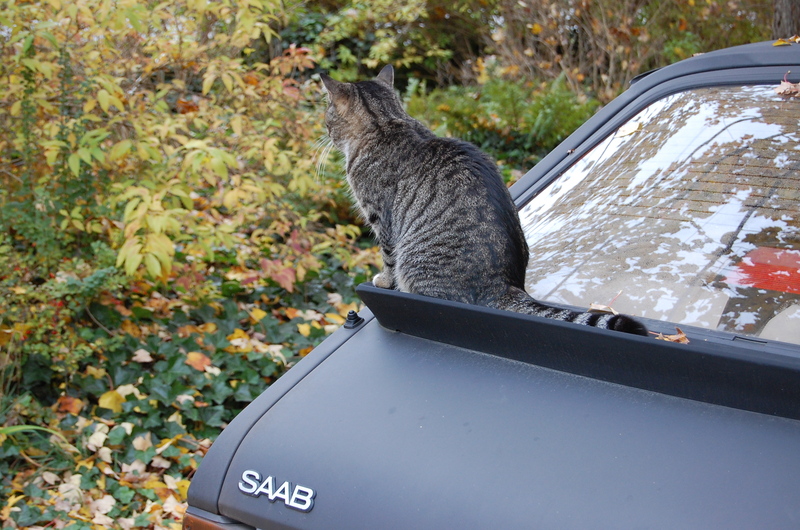 1988 Saab 900 – Ah, my first car. 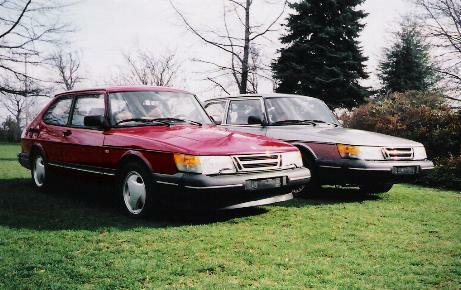 It was an ’88 – the last year of the 8-valve 900 but the first for the “slant front” styling. It was slow. I got this 900 with well over 100k on the clock for $1000. I drove the ever-living hell out of this car for a few years, and aside from a clutch, some suspension work, and a little bit of an idle issue, it served me well. 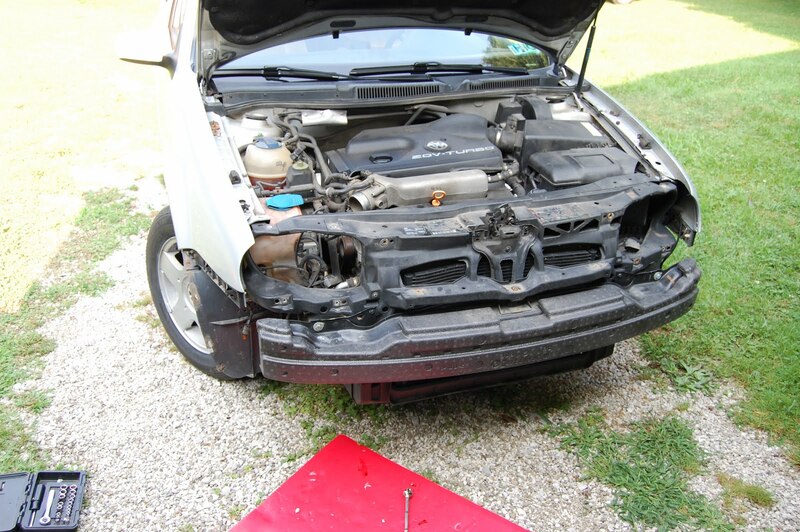 I even hit a deer with it doing 70mph and the car only suffered a small cosmetic blemish on the bumper! I purchased it at a local Dodge dealer of all places, but the car was originally from the D.C. area and the clean body could attest. This car was a bear in the snow too, which came in handy for my young driving self in North-West PA winters. Two years after the purchase of my Turbo, it moved on to a new owner, though unfortunately, I have the feeling this old girl is no longer on the road. 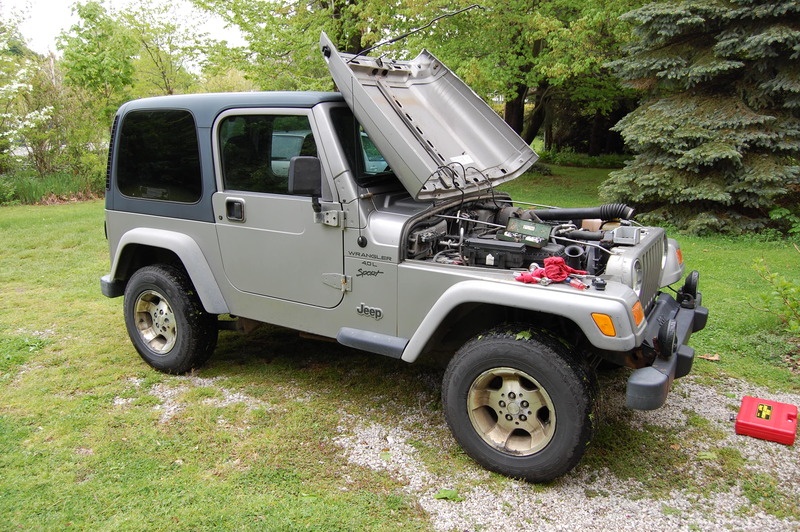 2001 Jeep Wrangler – I briefly had a Jeep Wrangler. 4.0L straight six, five-speed manual. I really rather wish I’d have kept it, but that of course, is another story. Ian, there are several 900’s languishing in the Pick-n-Pull in Edmonton Alberta, do you need anything? Sorry for the late reply – but YES! I very much need a set of slant-front headlights (with mounting brackets). By all means, let me know if you find any. Thank you! what years would that cover? Wow, love that red 900! Apart from the Wrangler, I approve thoroughly!